There was a solar eclipse on July 2009. In Kaohsiung, Taiwan, we observed up to 80% eclipse. 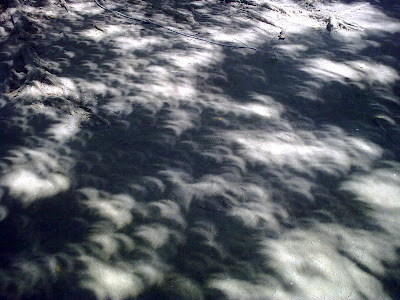 Though I was not equiped to take a proper photo, the light shines through the gaps of leaves forms images of the eclipse due to pinhole camera effect.